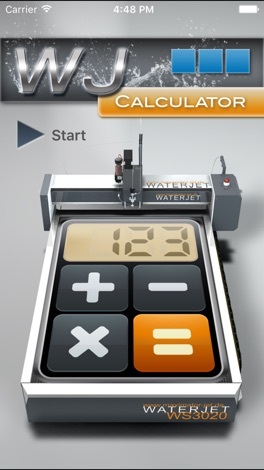 The Waterjet Calculator is of interest to users of waterjet cutting systems who want to quickly and easily identify waterjet-specific characteristics, cutting speeds and machine operating costs. The application is suitable for both Maximator JET and STM waterjet cutting machines, and is also universally applicable. People interested in the innovative technology of waterjet cutting can also employ this useful tool to learn about the basics of the technology. 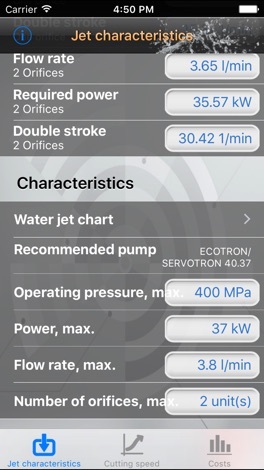 The Waterjet Calculator, like the Waterjet App from the same company, is divided into 3 basic areas. Area 1 is used to determine the basic characteristics for the waterjet. 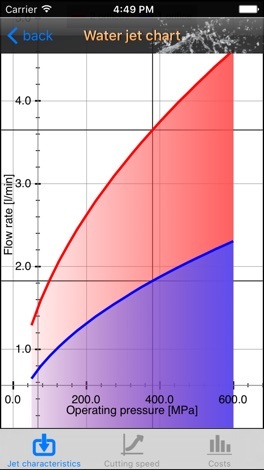 Operational data, such as the operating pressure, and the diameter and number of nozzles can be individually specified. Based on the details entered, the characteristics for the water jet and a recommendation for the high-pressure pump required are generated. Area 2 is used to determine the material-specific cutting speeds. This is based on individually adjustable operating parameters, such as operating pressure, tool diameter, and the type and amount of the abrasive material. The cutting speeds are output for a number of quality levels. A machine-hour cost assessment can be generated in Area 3. In the input area, the material and contour-specific features, as well as the necessary fixed and variable costs are recorded. 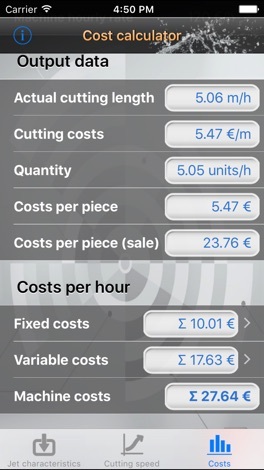 Based on the data entered, the cutting costs per metre, unit costs and the costs per machine hour are determined. All the data recorded and calculated is summarized in a PDF document, including a nozzle diagram, and it can thus be printed, sent by e-mail or made available for other applications.